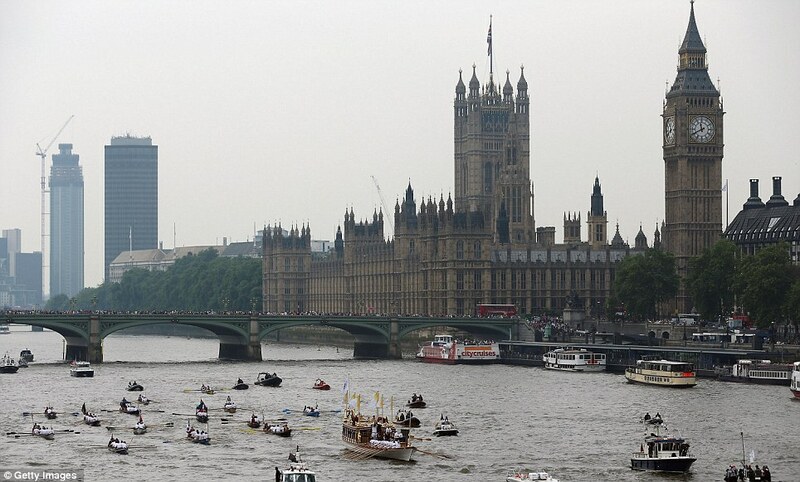 The famous London landscape is the backdrop for ‘Gloriana’, the barge carrying the Olympic flame down the Thames. I was in London when they won the bid for the 2012 Olympic Games. I remember it vividly – well, it’s hard to forget Brits losing their cool and jumping into fountains fully-clothed. The delight was infectious. I have not often seen that city express its mood quite so robustly – quite so overtly. People were happy, and it was hard not to be happy too, despite grumblings and mumblings about economic sustainability, political machinations and cost. But it seems like every Olympic host-city, or any city that hosts any such extravagant international event, is subject to debate about cost and sustainability – is it really worth it? Can they make it worth it? Can they do it without oppressing or taking away from a nation? When money is spent, we ask, where is it going? When infrastructure is built, we ask, who’s losing their home for it? How many trees are you cutting down? These discussions seem almost natural now, in a world acutely aware of the environmental and social costs of ‘development’. And seemingly, something like hosting the Olympics is more about glory than anything else. And yet, it was hard to resist. The delight was infectious. The next day, I was still there when the coordinated attacks on London took place, on the 7th of July 2005. There I was, having come from Sri Lanka, where hostilities were once more on the rise, and the violence was just about to escalate (in just over a month, Lakshman Kadirgamar would be assassinated by an LTTE sniper), encountering bomb-explosions and civilian deaths – in London. That stuff doesn’t happen here, I thought. And that seemed to be exactly how London felt, too. I watched, as London coped with the damage and death. I watched as people said it to themselves, over and over again, trying to take it in – ‘terrorist attacks’. It was a sad, strange day – and of course the low was lower because the high, just 24 hours ago, had been so high. Tonight, London claims its victory from 2005. At 9 pm (London-time), the 2012 Olympic Games will open, in a show directed by Danny Boyle. Next Post What Kind of Country is That?